The Sling-Shock™ (Patent No. 8,571,250) is a revolutionary departure from traditional shockmount designs. We’ve done away with unreliable rubberized parts and elastic cords, producing a durable shockmount that provides exceptional isolation from vibration, rumble and resonances. 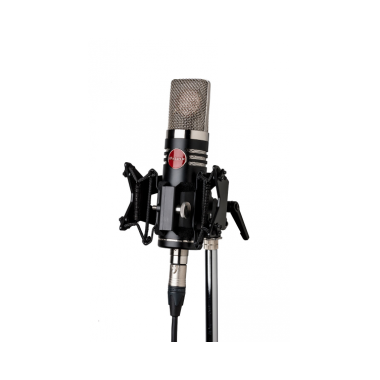 Our proprietary system of non-resonant nylon cable and damped steel springs acts to isolate the microphone from vibrations induced from the microphone stand. These vibrations appear as rumble and/or low-grade noise across the bandwidth and are greatly reduced by use of the Sling-Shock. Sling-Shocks also eliminate the self-resonance that traditional shockmounts can generate on high SPL applications like close-miked electric guitar. 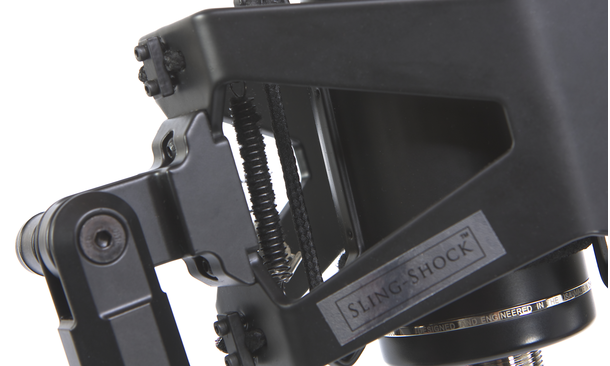 Shockmount self-resonance creates harmonic interferences at various frequencies – Sling-Shocks eliminate the issue. 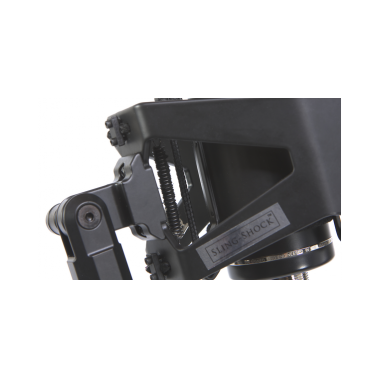 The Sling-Shock’s superior vibration-reduction capabilities and lack of self-resonance allow engineers to capture performances free of vibration-related interference across the bandwidth. A cable clip is included on each Sling-Shock. Loop a length of cable under the microphone, then secure the cable to the mic clip to minimize cable-related vibrations. David Royer started Mojave Audio in 1985 in the garage of his house. The location was Fullerton, California, and Mojave Audio was a one-man, custom pro audio gear shop. David is best known for his ribbon microphone designs with Royer Labs, but he originally started out designing and building vacuum tube microphones, mic preamps and compressors for engineers in the Los Angeles area. Since the mid 1990’s, David’s custom Mojave products have been used on a number of well-known recordings and have achieved legendary status among a small circle of high-end engineers. 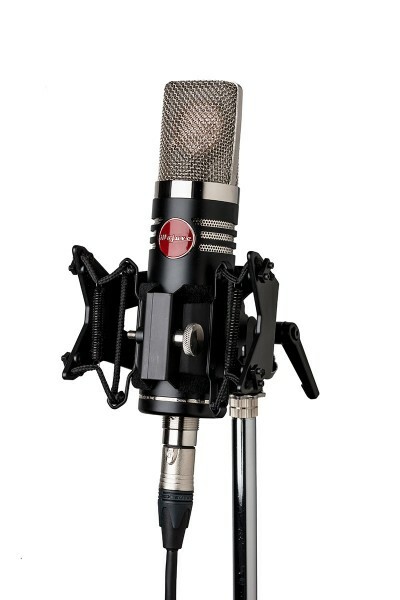 Mojave Audio Inc. was launched in 2005 to bring David’s condenser mic designs to the world. A Mojave microphone’s journey begins and ends in Burbank, CA. US made Jensen transformers and NOS (new old stock) tubes are shipped offshore and mated to capsules and bodies, according to David Royer‘s design specifications, at a highly respected factory that David has worked with for over 15 years. All Mojave microphones are constructed with respect to David’s unprecedented research and attention to electronic design and quality. After assembly, they are shipped back to Burbank for extensive QC inspections. Prior to packaging, every mic is burned in for 24 hours, tested and personally listened to by David. Very few companies (and none in Mojave’s price range) invest so much in the audio components. The high quality Jensen transformers alone, cost more than many import mics. The NOS tubes are military spec. The FET’s are top quality and the resisters are custom made. At Mojave it’s a given that no sacrifices are made in the critical signal path electronics. This hybrid of domestic and overseas manufacturing allows us to make superb microphones that are affordable without compromise.